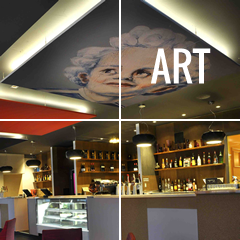 Enhance any interior décor with Fabric Acoustic Ceiling and Wall Panels. Acoustic art panels are a recent addition to the Serenity Acoustic Panel range. 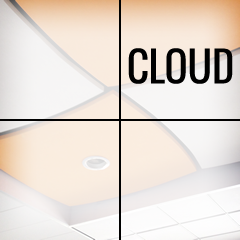 Create the latest look in acoustic treatment with Sontext Acoustic clouds. When a room has too many hard surfaces it makes it hard for people to hear properly or it is just too noisy. The result can be difficulty in understanding speech, distortion of music, or decreased comfort levels on people who are in the room. The solution is to install sound absorbing acoustic panels to the walls or ceilings. Acoustic Panels are designed to absorb sound waves across a range of frequencies. The type of acoustic panel can also have an impact on the result. 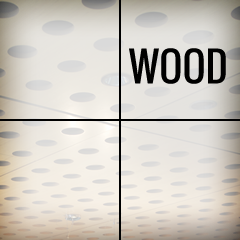 For example, perforated timber panels tend to have better performance at low frequencies, compared to fabric covered acoustic panels which perform better at higher frequencies. Acoustic Panels in Fabric and Timber Finishes. Sontext manufactures Acoustic Panels finished in Wood, Fabric and Paint. The various panel thicknesses available have different performance characteristics. Consulting an Acoustics Engineer will ensure the best outcome for the room of concern. 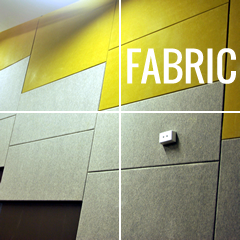 Fabric Acoustic Panels are available under the 'Serenity' brand name. 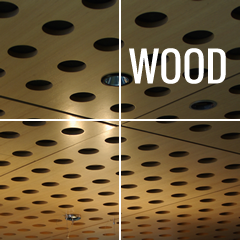 The wood veneer or perforated timber acoustic panels are sold under the Murano Acoustics brand name. Sontext and their distributors have samples of the colours and finishes available. 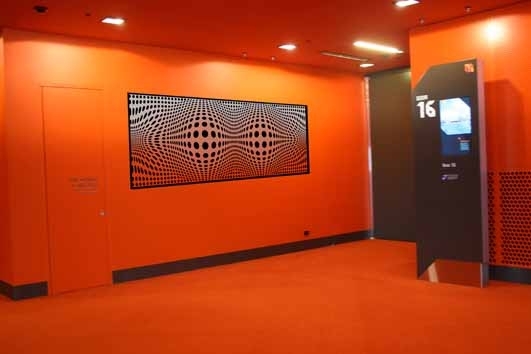 Sontext manufactures and distributes a large range of decorative, sound absorbing wall and ceiling panel systems across Australia and throughout the world. We also have a strong presence the Middle East, including Kuwait, Qatar and The UAE. The Acoustic Panels manufactured by Sontext are designed to absorb unwanted sound, reduce reverberation and improve interior sound quality. 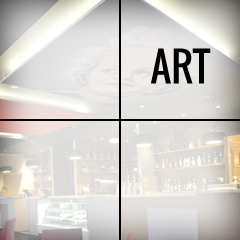 Our range of Acoustic Panels can be used to increase speech audibility and music quality in many applications. Sontext Acoustic Panels are designed to absorb unwanted sound, reduce reverberation and improve interior sound quality. Sontext Acoustic Panels can be used increase speech and music quality in many applications. Sontext provide a range of acoustic panels to reduce noise and improve sound quality. 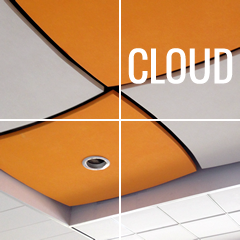 These include Fabric Acoustic Panels, Acoustic Wood Panels and Acoustic Clouds and Baffles. Sontext supply acoustic panels to all of Australia, Middle east, Asia and the UK.